Mikado 2-8-2 were originally named in 1897 after a group was built for Nippon Railway of Japan. The name means "Emperor of Japan", the 1885 opening of Gilbert & Sullivan's opera "The Mikado" had brought the name into use. During the 1900-1920 years the Mikado became the standard freight locomotive. 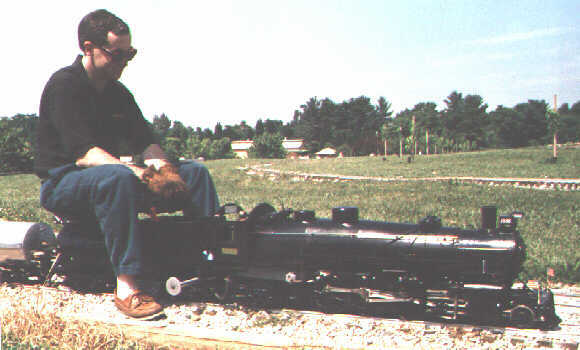 The 625 light USRA version out numbered all other USRA road engines combined. During W.W.II several railroads tried to rename them to MacArthurs however the Mikado name has stuck. Length of Engine: 82 1/2"
Cylinder Bore and Stroke: 2 1/2" x 4"